Trailer of Film Adaptation of "Half Of A Yellow Sun"
The film adaptation of Chimamanda Ngozi Adichie's Orange Prize-winning novel, Half Of A Yellow Sun, starring Chiwetel Ejiofor and Thandie Newton, will make its World Premiere at the Toronto International Film Festival. Here is the first trailer from the movie. Click here to read my 2007 review of the novel which is set in Nigeria before and during the secession of Biafra. As a young girl growing up in the African nation of Botswana, Precious Ramotswe was encouraged by her father to follow her dreams, no matter what. Now in her mid-30s, Precious is doing just that — by opening her country's first and only female-owned detective agency for the benefit of those who need help the most. The first major film/TV project to be shot entirely on location in Botswana, 'The No. 1 Ladies' Detective Agency' is based on the best-selling novels by Alexander McCall Smith and co-written and executive produced by Richard Curtis and the late Anthony Minghella. 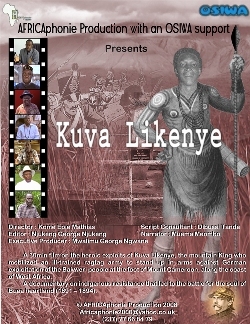 AFRICAphonie (with an OSIWA support) presents Kuva Likenye, a Historical Documentary. Directed by Kome Epule Mathias. Editor: Njukeng George Njukeng. Script Consultant: Dibussi Tande. Narrator Muema Meombo. Executive Producer: George Ngwane. Music by DJ Kofi. Very few Cameroonians know the history of Cameroon in all its diversity and depth. And with good reason. Most of what passes for “Cameroonian history” in schools is a sanitized version of the country’s history whose sole purpose is to reinforce “state control” and “toe-the-line” concepts such as “unité nationale and intégration nationale. These concepts seek to legitimize the official narrative on the “colonial partition” of the Cameroonian family and the ultimate “reunification” of these long lost brothers and sisters against all odds in 1961 in a “historic burst of nationalism”. Any piece of history which either questions or contradicts this official narrative, or fails to add value to it, is simply ignored or discarded. The result? Many key events and personalities in Cameroon’s pre-colonial and colonial history remain largely unknown and confined to local and ethnic folklore. "In a small courthouse in [Kumba] Cameroon, two women are working to change a village—and making progress that could change the world." "SISTERS IN LAW follows tough-minded state prosecutor Vera Ngassa and Court President Beatrice Ntuba as they help women in their Muslim village find the courage to fight difficult cases of abuse, despite pressures from family and their community to remain silent. With fierce compassion, they dispense wisdom, wisecracks and justice in fair measure, handing down stiff sentences to those convicted. 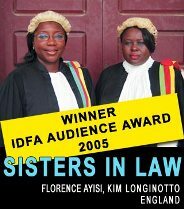 Inspiring and uplifting, SISTERS IN LAW presents a strong and positive view of African women—and captures the emerging spirit of courage, hope and the possibility of change." Check your local listings for Broadcast times. Click here for details. Movie Review: "Nkuma (Female Genital Mutilation)"
Nkuma (Female Genital Mutilation). An AFRICAphonie Production (with OSIWA support). Starring Marvis-Claire Imbolo as Bessem. Produced and directed by Mwalimu George Ngwane (1hr: 45 mins). "Female circumcision is an integral part of the societies that practice it, where patriarchal authority and control of female sexuality and fertility are givens... Although the societies that practice circumcision vary in many ways, most girls receive little education and are valued primarily for their future role as sources of labor and producers of children." Otomo. Starring Isaach De Bankolé. Directed by Frieder Schlaich. Language: Theatrical release 2001. Now available on DVD (Release date, November 28, 2006). On Aug. 9, 1989, as a black man was stopped on a bridge in Stuttgart forquestioning, he knifed two officers to death and wounded three others before being shot dead himself. 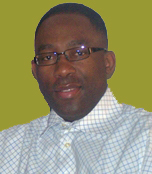 This man's name was Frederic Otomo [from Cameroon]. At about 6:15 that morning, he had been confronted on a subway train by a ticket inspector, who told him he had to get off at the next stop. The inspector got aggressive with Otomo, who head-butted him and fled from the train, setting up the manhunt that ended on the bridge. Those facts are known. What happened between the two incidents is unknown, and inspires this film by Frieder Schlaich , who tries to imagine what went through Otomo's mind between the two confrontations. 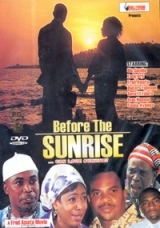 Before the Sunrise, the first major collaboration between Nollywood and Cameroon’s budding English language film industry is now available online. The movie can be viewed or purchased from the inollywood or izognmovies websites. Filmed in Buea and Limbe, in Cameroon, Before Sunrise was launched amidst great fanfare at the Yaounde Hilton in July 2005. The movie's cast that includes prominent Nigerian film stars such as Zach Orji, Dakoré Egboson, Jacobs Olu, Fred Amata. The Cameroonian actors include Ivan Namme, Queenta Eyong, Magdalene Agbor, Goretti Folefack, and Makossa star Jean Pierre Essome. Spike Lee (2006). When the Levees Broke. A Requiem in Four Parts. (All four acts will be seen Tuesday, Aug. 29 [8:00 p.m.-midnight], the first anniversary of Hurricane Katrina). As the world watched in horror, Hurricane Katrina hit New Orleans on August 29, 2005. Like many who watched the unfolding drama on television news, director Spike Lee was shocked not only by the scale of the disaster, but by the slow, inept and disorganized response of the emergency and recovery effort. Lee was moved to document this modern American tragedy, a morality play witnessed by people all around the world. The result is WHEN THE LEVEES BROKE: A REQUIEM IN FOUR ACTS. The film is structured in four acts, each dealing with a different aspect of the events that preceded and followed Katrina's catastrophic passage through New Orleans. 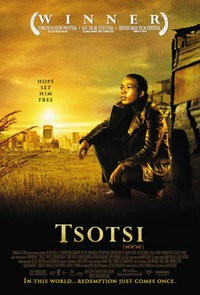 Tsotsi (2005). Academy Award Winner - Best Foreign Language Film. Starring: Presley Chweneyagae, Terry Pheto. Director: Gavin Hood Rating (R). 94 mins. Now available on DVD. Set amidst the sprawling Johannesburg township of Soweto - where survival is the primary objective - TSOTSI traces six days in the life of a ruthless young gang leader who ends up caring for a baby accidentally kidnapped during a car-jacking. TSOTSI is a gritty and moving portrait of an angry young man living in a state of extreme urban deprivation. His world pumps with the raw energy of "Kwaito music" - the modern beat of the ghetto that reflects his troubled state of mind. Sisters in Law opens by introducing one of the feistiest, no-nonsensest action heroes you’re likely to see on screens all year. State prosecutor Vera Ngassa walks into a weathered building, past barred windows and through the padded inner door to her office. This is where she brings abusive husbands and tyrannical guardians to task.